In this construction video tutorial, the renowned engineer, S.L. 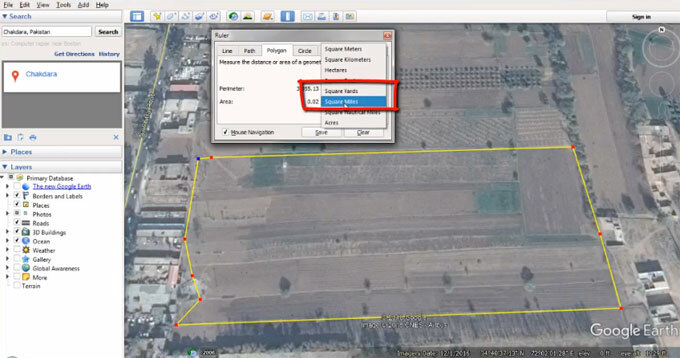 Khan presents some useful guidelines which will be very useful to locate any land area in various places online with the help of Google earth pro version. To start with, just put the name of the place in search box located at top left portion and good earth will help you to steer through your place. Now increase the zoom with zoom in to see the place in a better way. Now choose your necessary boundary and click on the show ruler button and it will unveil a dialog box with various tabs like line, path, polygon, circle, 3D path, 3D polygon. Now click on the polygon tab and there will be two options perimeter and area to demarcate the land boundary. After the boundary is specified, the area and perimeter of land are also set. The unit area can be also changed to various units like square meter, square kilometer, square feet, square yards, square miles etc.